Welcome! 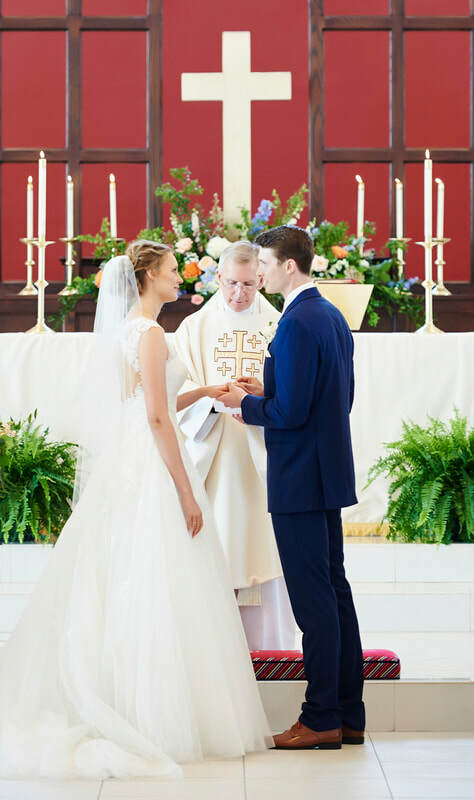 If you are seeking to be married at St. Christopher's Episcopal Church, the best first thing to do is to visit our church for services and decide if we are a good fit. Speak to one of our clergy and let them know of your interest. You may also want to download the Wedding Guidebook. It will give you much of the information you need as you begin thinking seriously about getting married at St. Christopher's Episcopal Church. The Wedding Guidebook includes St. Christopher's policies for weddings. The Guidebook also covers fees for use of St. Christopher's. If you decide that you are truly interested in being married at St. Christopher’s, please complete the forms packet , which includes the Declaration of Intent, and contact our Interim Priest in Charge, the Rev. Dr. Larry Walters: 317-846- 8716, x12 or email.